Pastor Omotoso was arrested and dragged at the Port Elizabeth Airport on April 20. He has now been charged to court and some of the revelations at the court hearing are shocking! 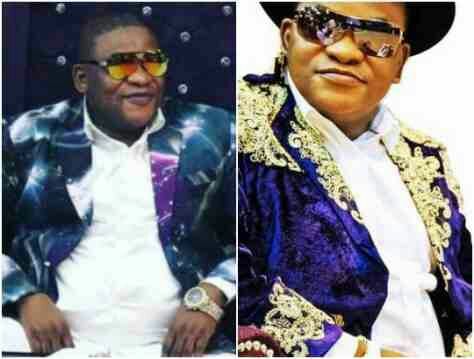 The manner in which Nigerian pastor Tim Omotoso lured teenage girls into sexual relations with him was laid out at the Port Elizabeth Magistrate's Court on Wednesday, May 3. Tensions were high at the Court in the morning ahead of the appearance of the controversial pastor who is facing chargesof sexual assault and human trafficking. While groups sang struggle songs outside the building‚ inside a large contingent of people filled the corridor outside the courtroom where the pastor is to appear for his formal bail application. Descriptions of how he would allegedly have the girls rub Vaseline on their thighs while telling them to recite Psalm 51 – a psalm that deals with sin and being cleansed – were read out in court. Reading from a statement by investigating officer detective warrant officer Peter Plaatjies of the Hawks‚ state prosecutor advocate Nceba Ntelwa told the court that the pastor would then tell the girls that If they spoke about the encounters they would be cursed and would die. National Hawks spokesman Lieutenant Colonel Robert Netshiunda confirmed that the pastor was facing 22 charges related to contravening the sexual offences act stemming from sexual assault to human trafficking with possible additional chargesto be added at a later stage. It was the defence submission that the pastor denied any wrongdoing and intended to stand trial to prove his innocence. Ntelwa said the state would oppose bail because he was a flight risk‚ had no permanent residential address and would intimidate and interfere with state witnesses. “He has the propensity to commit the samecrimes‚” Ntelwa embers of the media and general public inside the court were instructed by members of the police's Tactical Response Team to switch off all cellphones and recording devices during court proceedings or “face the consequences”. One member of the TRT told the gallery that he would personally remove anyone whose cellphone lights up during proceedings. The pastor is due back in court today.